Penmayne Bed and Breakfasts. Compare latest rates and Live availability for all your favourite places and places you have always wanted to go using our new My Shortlist feature. Click + to add to your Shortlist. 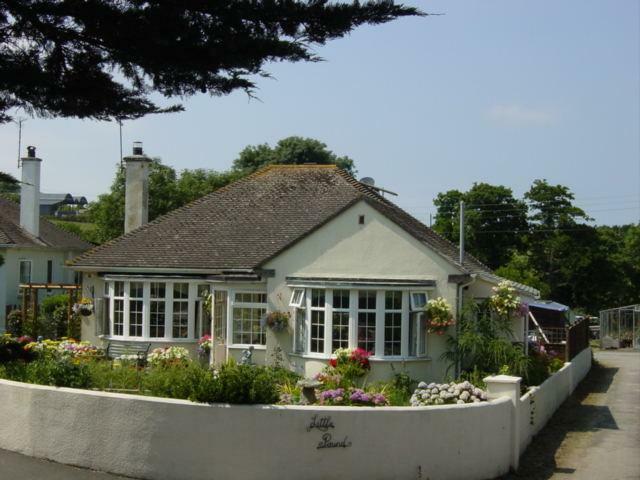 Bed and Breakfasts in Penmayne, Cornwall for 1 night from Sat Apr 20, 2019 to Sun Apr 21, 2019 within 10 miles, in an Average Nightly price range of £1 to £200. The Atlantic View Hotel is a small family run hotel set back 300 m from the rugged North Cornish coast in Treknow one mile from the village of Tintagel known for its historic links with the legend of King Arthur. The hotel has nine en-suite bedrooms all with either coastal or countryside views and all the necessary bedroom and bathroom amenities. The hotel restaurant offers a five-course meal from a menu changed daily in the evenings and a vast choice of breakfast in the morning. There is also a fully licensed bar stocking a range of local beers and ales as well as an extensive wine menu. The hotel also boasts ample car parking spaces in a private car park as well as Free Wi-Fi in the hotel lobby bar and lounge area. br / br / br / br / King Arthur s Castle Ruins and Merlin s Cave are all within walking distance along the North Cornish coastal path or a very short drive along with St Materiana s church dating back to the 6th Century. The parish of Tintagel has a number of National Trust Properties notably the Old Post Office as well as numerous churches and chapels. The local beach to the hotel is Trebarwith Strand a rugged tidal beach that is attractive to surfers and families alike. Villages a short drive away include Boscastle an old fishing port and Port Isaac a small picturesque fishing village home to the filming of Doc Martin. br / br / br / br / The Atlantic View Hotel is open from March until the end of October. Surrounded amid the beautiful Cornish countryside bordering the Pencarrow estate between Bodmin and Padstow & Wadebridge and slightly further Fowey Charlstown & Mevigissy this charming country House hotel is beautifully set within 3 acres of gardens overlooking the Pencarrow estate & woodland we are a Grade II listed building dating back to the early 18th century. With an AA rosette for food excellence & Taste of the West Gold award our restaurant with its Delabole slate flagstone floor offers the very best of locally sourced meats fish fruit vegetables and delicious Cornish cheeses. For business or leisure this is the ideal choice of hotel. Situated in the village of Washaway Trehellas is a family-owned country house with real warmth and character close to all that the county has to offer. A former Courthouse today the building still retains many of its beautiful original features . Locally we have the Eden Project the Lost Gardens of Heligan Lanhydrock Padstow Rock Wadebridge and numerous other beautiful towns and sites in Cornwall Trehellas is perfectly situated for walking cycling the famous Camel Trail and exploring all that Cornwall has to offer. The hotel is beautifully situated in almost two acres of grounds overlooking miles of glorious coastline with Trevose Head to the left and the famous Round Hole of Trevone to the right. The Well Parc although not crowded by any near neighbours is less than five minutes walk from the beaches and coastal path. The hotel is beautifully situated in almost two acres of grounds overlooking miles of glorious coastline with Trevose Head to the left and the famous Round Hole of Trevone to the right. The Well Parc although not crowded by any near neighbours is less than five minutes walk from the beaches and coastal path. The village is often overlooked by the summer tourist rush who miss the beautiful unspoilt beaches. Trevone hosts two beautiful beaches - one sandy with full lifeguard coverage during the summer months which is perfect for surfing sand castles and lazy sunny picnics. The other beach is aptly named Rocky Beach and is a haven of rockpools teaming with interesting discoveries it also has a natural swimming pool within the rocks of the beach. Well Parc offers 10 letting bedrooms able to accommodate up to 26 visitors. We have a variety of rooms available ranging from Family Suites to Single. The majority of our rooms have en suite facilties and all with televisions coffee and tea making facilities. Six have sea views whilst the others overlook nearby fields. Of the 10 bedrooms there are two large family rooms 2 triple rooms 1 single and 5 doubles. Ray Sally & Lee move from Oxford in 1980 with Eric (Sallys dad) and Etters the 18 year old Siamese. They began at Well Parc in Partnership with Harry and Joan and their son Greg. In 1982 Harry and Joan moved on. In 1984 Eric married Maggie and also Jodie (Ray and Sally s second daughter) was born. In 1991 a bunglow was built in our field for Eric and Maggie (which is now a holiday home) and in 1996 Eric sadly died. The Molesworth Arms Hotel is a famous 16th century coaching Inn that offers a friendly atmosphere great accommodation and excellent Food . We are located in Wadebridge Cornwall and provide an ideal base to explore the surrounding area you will find a friendly atmosphere comfortable accommodation on your arrival. Your stay at the Molesworth arms is situated at the centre of one of Cornwall s biggest attractions the Camel Trail. You can Hire bikes and venture along the trail to the famous port of Padstow just a few easy cycling miles away or head in the other direction through a lush wooded valley towards Bodmin and the splendid isolation of the moor.You are also 25 minute drive away from the famous Eden Project with its sub tropical biomes nr St Austell. In staying at the Molesworth you are also close to many top class beaches including Polzeath Daymer Bay and Rock. We are also close to all the county s best golf clubs including St Enodoc Trevose and St Mellion among others (we can arrange you golf breaks. click on golf breaks) Whatever your reason for staying you are sure to enjoy your stay in this famous coaching inn which has 3 bars and a separate functions room and has plenty of outside seating and a car park at the rear of the hotel. We occasionally have live bands at weekends. The satnav code to molesworth court car park rear of molesworth arms pl27 7dg Please note we play live music on Friday and Saturday till midnight. Spectacular coastal setting and stylish accommodations awaits you at Bedruthan Hotel & Spa. Our four-star boutique hotel is set on a scenic rugged cliff side location in the Cornish vilage of Mawgan Porth complete with wonderful views across the blue waters of the Atlantic. Offering more than just the normal hotel we also feature a pottery studio an outdoor theatre our own art gallery and art and design fairs all while providing access to a beautiful beach below you. Kick off your shoes and rest in any of our contemporary Scandinavian-inspired rooms all equipped with free Wi-Fi mini-fridge work desk and a modern bathroom with toiletries and hairdryer. Some rooms come with sea views for added enjoyment. Suitable for family holidays we have recreational facilities for kids of all ages including children s pools teenage room Jungle Tumble indoor soft play area and outdoor play area with assault course and trampoline. At our award-winning Herring Restaurant you can indulge in scrumptious modern Cornish cuisine that use quality local produce. Sample the range of popular dishes from colourful tapas to traditional favourites at our Wild Caf� and cap off an activity-filled day with drinks at the Bedruthan Bar. Whilst staying in our hotel rejuvenate your mind and body at our luxury spa facilities. Soothe your worries away with pampering treatments spend time at the steam and sauna rooms or relax your muscles in the hydro pool while taking in views of the sea. You can also check out our leisure centre that has a gym indoor and outdoor pools games room and a resident surf instructor. For an extra restorative touch you can experience our Sensory Spa Garden that will leave you refreshed detoxified and revitalised. The family-owned Bedruthan Hotel & Spa is found only a mile away from the majestic Carnewas and Bedruthan Steps five minutes away by car from the Merlin Golf Club. Situated between Newquay and Padstow our hotel is only a 10-minute drive from Cornwall Airport Newquay. Free on-site parking and free Wi-Fi access in all areas are available. Dogs are allowed in some bedrooms and communal areas. However there is a charge of �12 per night to cover cleaning costs. With its unrivaled coastline views chic accommodations and numerous recreational facilities our hotel makes for a perfect base for a holiday in Cornwall. The Mill House is situated on the North coast of Cornwall between the fishing villages of Port Isaac and Boscastle. Camelot King Arthur s legendary castle is located in the very next valley. Set in seven acres of it s own wooded valley and garden the former 18th century corn mill now provides first-class food and board as a traditional Inn. The Inn itself is a charming stone building with a bar dining room and residents lounge downstairs all of which benefit from wood fires. Upstairs there are eight extremely cosy double rooms (with bathrooms en suite). All accommodation is simply but tastefully furnished with the emphasis on the linen and comfort. Come and unwind at the Mill House...our dedicated and friendly staff are on hand to make sure your stay is relaxing. /p Cornwall is full of natural beauty. With its vast array of beaches and spectacular scenery the county has a lot to offer to every visitor. Trebarwith is an excellent base for a holiday in Cornwall. Nothing is far away. Fantastic beaches rolling surf the coastal path great golf courses and stunning attractions all within easy driving distance. The surfing beach at Trebarwith Strand is one of the finest in Cornwall and is situated half a mile down the valley from the Mill House. Tintagel the home of King Arthur is also within easy reach. The popular villages of Rock and Padstow are but a stones throw away and for the younger visitor Flambards Victorian Village and Amusement Park is approximately an hours drive away. /p Cornwall has many things to offer the active visitor. Numerous paths and coastal routes explore some of Cornwall s most picturesque views and the Camel Trail either by bicycle or by foot is a popular choice. There are also many water sports and activities available locally such as sailing surfing and diving. Offering a seasonal outdoor pool and sauna, The St Enodoc Hotel is located in Wadebridge in the Cornwall Region. The hotel has a terrace and views of the river, and guests can enjoy a drink at the bar. Free private parking is available on site. All rooms are equipped with a TV. Certain units include a seating area where you can relax. You will find a kettle in the room. Each room comes with a private bathroom. Extras include bathrobes, free toiletries and a hairdryer. The St Enodoc Hotel features free WiFi throughout the property. You will find a shared lounge at the property. You can play table tennis at the hotel. Newquay is 19 km from The St Enodoc Hotel, while Falmouth is 45 km from the property. The nearest airport is Newquay Cornwall Airport, 13 km from the property. With views over the Camel Estuary and Atlantic Ocean, St Moritz Hotel features a spa with indoor and outdoor pool, gym and tennis courts. Guests can enjoy the free WiFi, onsite bar and a meal from either of the two onsite restaurants. Some rooms at the St Moritz Hotel feature a balcony or patio and all rooms have a flat-screen TV with satellite channels provided. There is a free shuttle service during the day from the property to nearby Polzeath and Rock. The area is popular for golfing. St Moritz Hotel is a 10-minute walk from Daymer bay and a 20-minute walk to Polzeath. Newquay Airport is 20 miles away, whilst Padstow is 15 miles away and Falmouth is 42 miles away. Located in Padstow, Padstow Townhouse offers accommodation with free WiFi and seating area. The bed and breakfast offers a flat-screen TV and a private bathroom with free toiletries, a hair dryer and bath. A fridge is also featured, as well as a coffee machine and a kettle. A continental breakfast is available each morning at the property. Cycling can be enjoyed nearby. Newquay is 24 km from Padstow Townhouse, while Port Isaac is 30 km away. Newquay Cornwall Airport is 19 km from the property.